“Symphony Demo” – Ensembles – Download – Symphony. 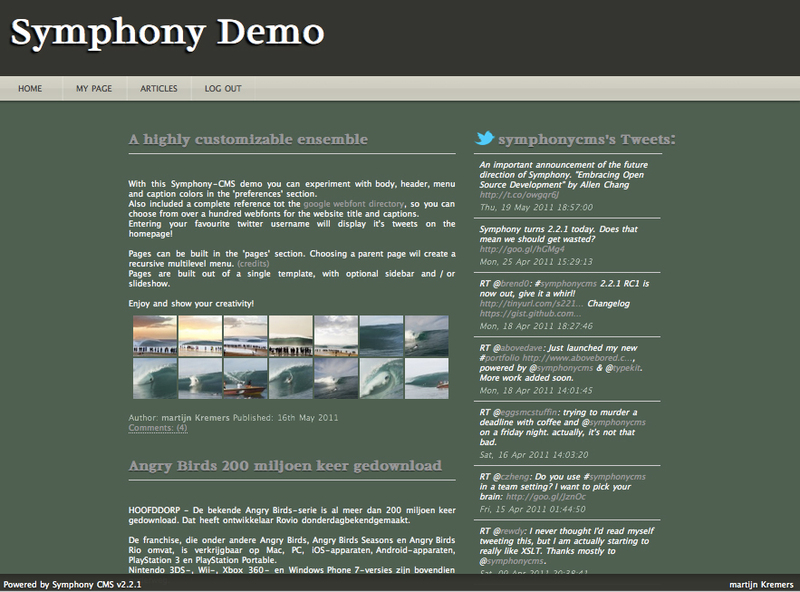 This ensemble is the result of a demo-site, that i made to explore some of Symphony's features and it's user friendly back-end. The design is insprired by symphony's back-end, but fully customizable. You can experiment with body, header, menu and caption colors in the 'preferences' section. Also included a complete reference to the google webfont directory, so you can choose from over a hundred webfonts for website title and captions. Entering your favourite twitter username will display it's tweets on the homepage! Pages and a recursive navigation can be created through entries in the 'pages' section. Choosing a parent page will create a multilevel menu. (credits) The pages are built out of a single template, with optional sidebar and / or slideshow. 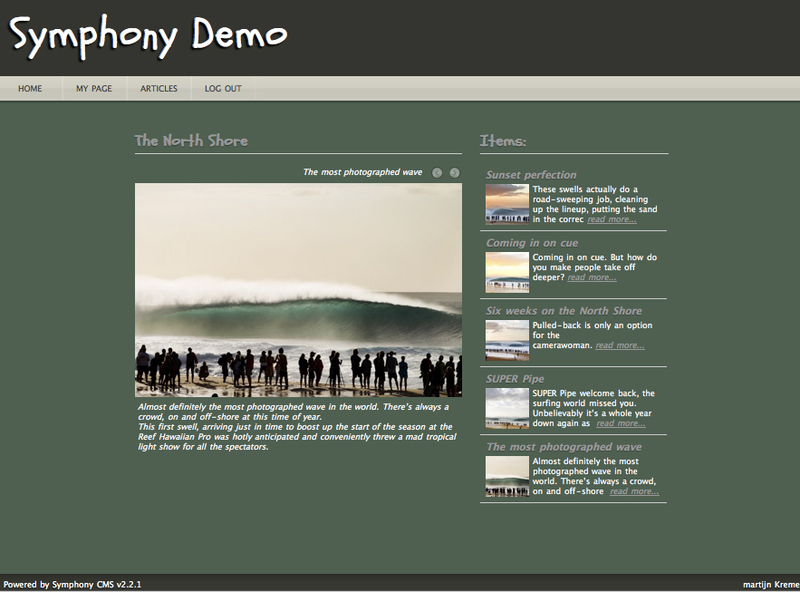 The homepage consists of a blog, showing text, an optional gallery and comments. Enjoy and show your creativity!